African American crew members aboard the USS Miami, a U.S. Navy gunboat, ca. 1865. The Miami operated in the Gulf of Mexico and the Mississippi River in 1862 and was transferred to the Atlantic theater for the majority of the Civil War. 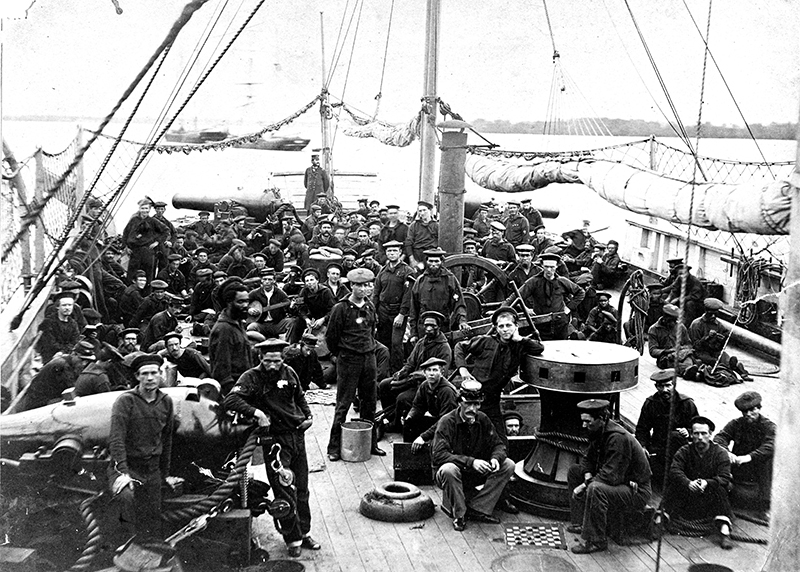 Unlike the U.S. Army, the Navy began the Civil War as an integrated service, with blacks sharing the rations and living quarters with their white counterparts.